Another week, another episode of Game of Thrones, and we're still short 1 member of the Tower of Babble Crew. 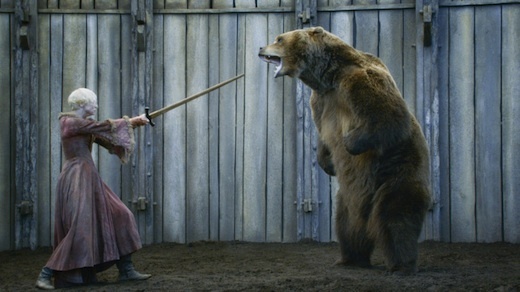 Julian and Dan breakdown the latest from this weeks episode of Game of Thrones: S3E7 "The Bear and the Maiden Fair". This time over Skype! Jon walks south of the Wall, Robb receives good news, Daenyres sets her terms for Yunkai, The Hound finds a prize, and Brienne faces a dangerous enemy. If you enjoy the podcast, make sure to check out Dan's written review, and keep a look out for more Game of Thrones content each and every week during the season.